Demelza by Winston Graham – The second book in the Poldarks of Cornwall series; I finally finished this book at the start of the month! It wasn’t new reading territory as finishing the book only caught me up to the end of the first season of the show. I’m interested to see if the third book (listed below) will pick up right where the show left off and provide the story lines for season two. La La Land – Oh my goodness; I cannot say enough wonderful things about this movie! I absolutely loved it! The storyline was so sweet and wonderful; which I think is especially surprising given the cynical world we live in. Perhaps that’s why it resonates with so many people? It’s an age old boy meets girl story, but it’s punctuated with catchy song and dance numbers and so much of the story feels…innocent? It’s like someone’s dream(s), put to song and dance and it’s not to be missed! 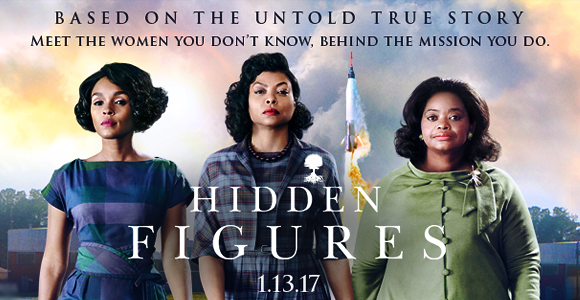 Hidden Figures – Another movie that is a must see! The story of the contribution of these courageous women in the 1960’s in the midst of the historic space race and the fact that it’s been “hidden” for so long is astounding. Katherine Johnson, Mary Jackson and Dorothy Vaughan contributed immeasurably to history and the story of their lives was absolutely inspiring. I’d also tell you that this movie should not be missed…I’d even tell you to see this movie before you saw La La Land, because history is worth a wee bit more than fantasy! 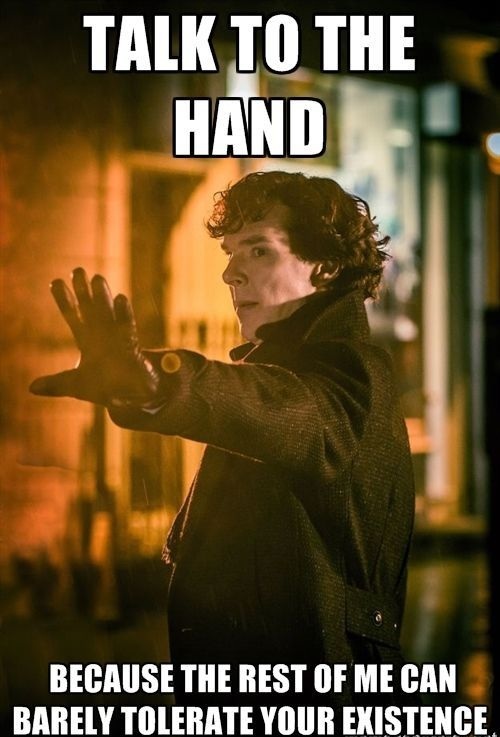 Sherlock Season Four – Well; I thoroughly enjoyed this final season of Sherlock…if it is the final season, and I so desperately hope not! The fourth series (or season..) was filled with twists and turns and even some drug fueled insanity and hands down had two of the most unsettling villains I’ve seen on TV in a long time. 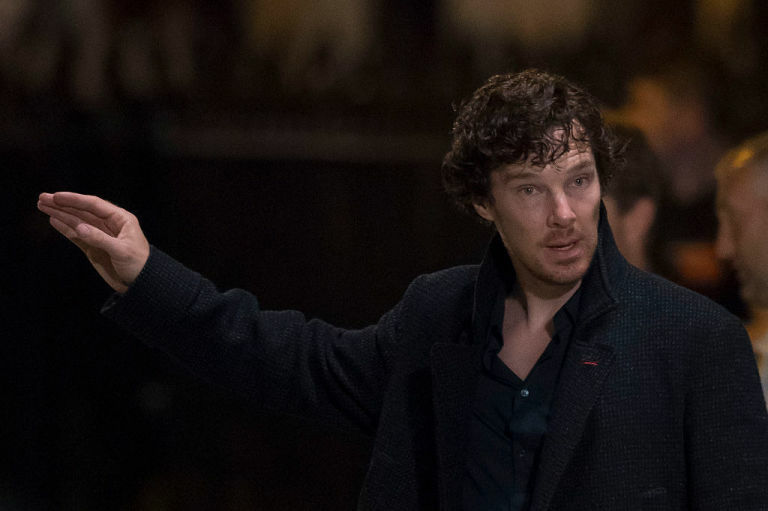 I’ve seen so many columns panning this fourth series but I loved every minute of The Six Thatchers, the Lying Detective and The Final Problem and thought Benedict Cumberbatch and Martin Freeman were at their best. Here’s hoping in a few years they’ll be back for another round! 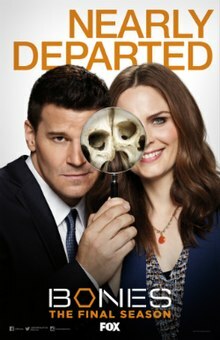 Bones Season Twelve – The final season of Bones has; so far, been a delightful mix of callbacks from earlier seasons (hello Zack Addy!) and moving the characters toward the end of their stories. I can’t believe I’ve been watching this show for 12 years now! I was a goofy twenty year old college kid when I noticed “Angel” on a new show, I tuned in…and was hooked in almost no time. I have so enjoyed following the tale of Booth and Bones and the entire cast of characters at the Jeffersonian…I can’t believe there are only 7 more episodes! Victoria – What can I say? I love a good show about the Royals and this one is no exception! The show follows Victoria (the name kind of gave it away, huh?) as she becomes Queen of England at the age of 18 and details her life as a young ruler; including meeting and marrying Prince Albert. 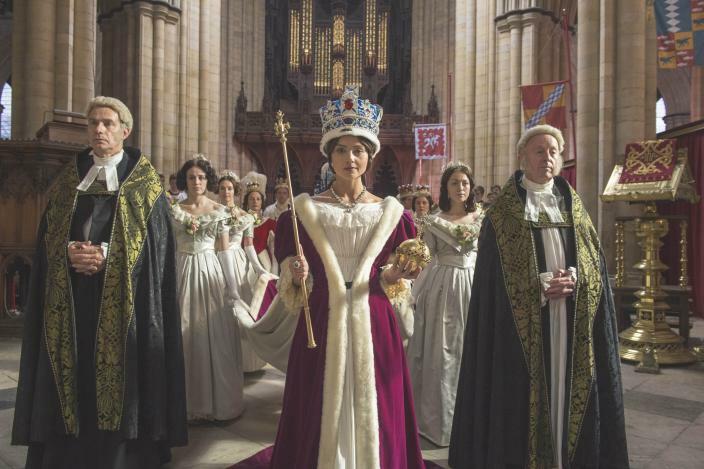 The show has wonderful costumes and Jenna Coleman seems like the perfect person to play Victoria; I’ve enjoyed every episode so far! White Collar – I finally finished all six seasons of White Collar and I must say; I loved this show…and the ending! While from the outside it might seem like your same old crime procedural; the characters and the relationships they form are what made the show for me! Tim DeKay and Matt Bomer play off each other so well and each supporting character brings so much to the table. The show is such a fun watch, I really enjoyed it and I’m sad its come to an end! 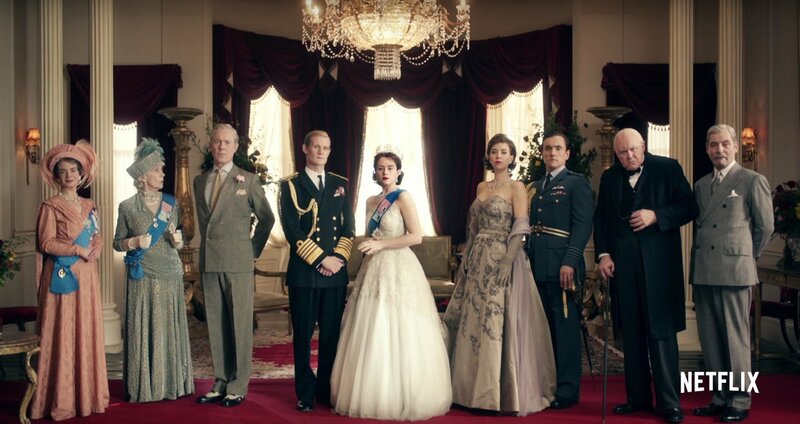 The Crown – Well; I took binge-watching to a whole new level (for me) with The Crown. I started it on a Thursday night and by Sunday afternoon, I was 100% done. I was drawn in from almost the first few minutes and I have to say that I honestly view Queen Elizabeth and Prince Philip in such a different light after watching this… How does one person balance being a normal person while carrying the burden of “the crown” and what will be sacrificed in the process? La La Land Soundtrack – I’ve been playing this on repeat ever since I saw the movie on January 2nd! The songs and melodies are so catchy and it really just brightens my mood whenever I listen to it! I’ve long been a fan of a good musical and this modern day version is no exception! Sherlock Series Four Soundtrack – The theme to the final season; a lot of this music is intense and dark, but there are some more light and playful options too. I love good instrumental music and if a show I watch has tunes that go along with it, you can bet you’ll find them on my phone. I honestly have no clue what to put here – normally there is so much happening from month to move, but right now my calendar for February is just a big blank canvas! I’m hoping to catch up with some sweet friends but beyond that…I guess I’ll have to wait and see what February has in store! Monday already – how in the world did the weekend go by so quickly? Oh wait…probably because I spent a good chunk of my weekend binge-watching The Crown (finally). If January was one of the Seven Deadly Sins, it would likely be sloth – I feel like; as I look at my calendar, that I have done absolutely nothing all month. Certainly we had family visit and I’ve been to a couple movies and for the most part, the down time has been nice and given me a change to get my closet organized, get some piece of furniture ordered and finally feel like my living room and bedroom look the way I’d like and obviously I’ve been hard at work binge-watching shows on Netflix…but as the month draws to a close, it just feels like a lot of busyness with no real purpose. Anyone else feel that way? The past (and last) full week of January was a slow one in almost every realm of my life; markedly most so at the office. My boss had the flu and the office slowed almost to a halt while he speak the week out of the office recovering. At home, I was still getting over the lingering side effects of the two week long cold that just wouldn’t go away – earlier in the week it was a runny nose, later in the week the coughing started. If it wasn’t one thing, it was something else! Sharing this picture = now I’m hungry! The weather was something of a mystery all week and that theme seems to have continued into this week. I’ve sat at my desk today and watched thick, fluffy snowflakes swoop and swirl through the radiant sunshine and onto the grass – so yes – strange weather indeed. Having finished my months long (there are six seasons) binge of White Collar on Wednesday night, I jumped right into The Crown on Thursday night and was almost immediately hooked. I have always been fascinated with the Royals; although my fascination falls more in line with the Tudors than the Windsors, but Royals are intriguing none the less and The Crown is so very intriguing. Friday dawned colorfully and seemed like it would be a sunny day…but before long, more snow rolled in. It didn’t last for long but with the snow came wind and a steep drop in the temperature. Friday also seemed to be the day my two week cold tried to make it’s last stand; my head ached all day and by the time I arrived home my throat was tender and I generally just felt crummy. So, I spent my Friday night lying on the couch, watching The Crown and then surrendered to deep and peaceful sleep courtesy of Robitussin! Saturday I slept in (thank you Robitussin), sipped coffee, cleaned up around my house and ran errands around town before going to see Hidden Figures. Hidden Figures y’all – such an excellent movie! Oh! Before going to the movies, I had a late lunch at Five Guys and I was reminded of the very first time I ever ate at Five Guys – in Georgetown, when on vacation with my family eons and ages ago! It’s still just as good as it was the first time – I love those fries! Saturday night I somehow found myself getting sucked into watching a show on The Weather Channel…about The Donner Party! I’m not even kidding! It was two hours long and somehow I was completely invested in every minute of it…and when it was all said and done, I felt a little sick. Naturally. All things that you want to watch and feel on Saturday night, right? Sunday, I went to church and then had lunch and made a Wal-Mart run…and then, well the binge-watching happened again. I had big goals to finish The Crown and I did just that! I did tidy up some and prepare for the work week ahead and I tried to go to sleep earlier as opposed to later…but I kept getting distracted finding videos of Matt Smith and Claire Foy. I finally gave in around 10:45 and another week and weekend drew to a close! See what I mean – not exactly the height of overachieving (except where binge-watching is concerned). I’ll stand by what I said at the start; January’s definitely the month of sloth! One. Weird Weather – The Northern Virginia area has had it this week! Monday the forecast called for rain, rain…and more rain…and the day certainly started rainy enough. However by noon the rain had turned to sleet and by 2 PM, snowflakes that were huge, heavy and wet were swirling from the sky and blanketing everything in white. We closed the office early but by 4:30 the snow had turned back to rain and by 7 PM you’d have never known it snowed! It was almost 70 on Wednesday and today I turned around to look out my office window…and it was snowing again! Crazy! Two. 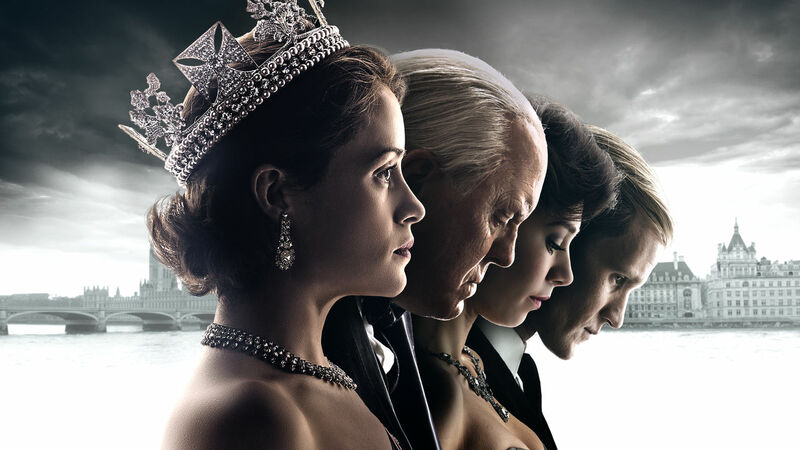 The Crown – I have jumped on the binge bandwagon and I’m finally watching The Crown. I had to finish up White Collar and I did that earlier this week and now I’ve dove into The Crown…and although I’m only two episodes in, I am already hooked! Am I the only person that is just now getting around to watching The Crown? Also…am I the only one that feels really badly for Prince Philip?? Three. 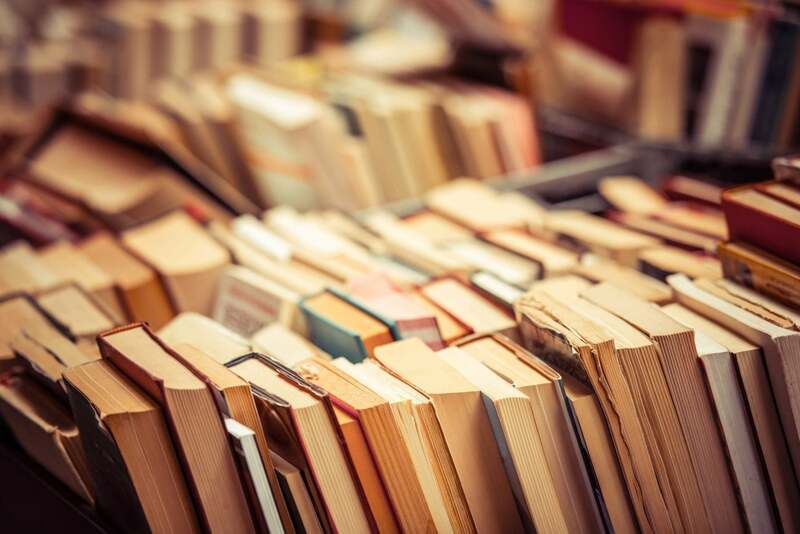 Book Exchange – Have y’all seen this on Facebook? Or social media in general? An old friend posted about this on his Facebook wall and I decided to jump in and see how it plays out. You send your favorite book (or ONE of your favorite…in my case…) to a stranger (supplied by the aforementioned friend) and then start the whole thing over again. I sent my book on it’s way today and shared the status on my Facebook page. I wonder if I’ll get any books when it’s all said and done? Four. Weekend Plans – January really just lends itself to having absolutely nothing to do! This is the fourth weekend in a row that I’ve had absolutely NO plans and there is a part of me that loves having no plans and no commitments, but the other part of me is starting to get bored, ha-ha! The weekend looks nice; if cold, so maybe I’ll come up with something to do! Five. Nationals Baseball – There are 66 days until Opening Day! I felt like the world at large should know that information, ha-ha! Less than 70 days until the blessed season of baseball is upon us once more! Hallelujah! Such a dignified little chap. I suppose I can’t really complain because this time last year it wasn’t rain that was pouring from the sky but snow – buckets and buckets of the stuff – more than I’d ever seen in my lifetime. Instead of wet streets and raindrops, this time last year I was peering out the window and barely making out the tip of the fire hydrant across the parking lot. Eek! What a week it was last week – what a week. While I’m certainly missing the day off that last Monday brought, I’m not missing the three hour drive to West Virginia that was also a part of the day off…or the three hour drive back home that was also involved! There are pros and cons to every aspect of life; the pro to our six hours spent in the car was that my sweet Nanny was able to be with us for a whole week, the con being – six hours in the car, ha-ha! Tuesday and Wednesday passed fairly smoothly; at least where work is concerned. However; on Tuesday morning I woke up feeling just fine but as the day progressed, things went downhill a bit. My throat began to scratch, my head began to feel…not quite right…and by the time I got home from work, I knew the dreaded “cold” was beginning to descend on me. Blegh. I did all I could – swallowing some cold medicine and sipping tea with lemon and honey – it seemed to help some but just to be safe, when my sister arrived on Tuesday night she bunked on my couch to avoid catching the ills. I took Thursday off work to spend some time with my sister and my Nanny. I slept in until around 8:30 and it was so nice to be able to sip my coffee while being curled up on the couch…on a Thursday morning! The weather had been less than lovely for most of the week but the sun finally came out Thursday morning and the weather could not have been nicer – in the low 50’s and sunny! We had tea at one of our favorite spots – The Coach and Horses Tea Room in Winchester – and as always, it did not disappoint! I don’t think I’ll ever find a spot that has such charm and personality as this place; it definitely doesn’t hurt that the food and service are always 100% amazing! My Mom’s younger sister and her husband arrived on Thursday afternoon and we had a really delicious supper together; cooked by my wonderful parents, and really just enjoyed some time visiting. They all watched a movie together but I opted out because they started it at a time that meant it would end a little later than I wanted to stay up…what with work on Friday and all that jazz. He was especially pleased to take in the late afternoon sunshine on Friday evening and by then he’d warmed up to everyone..so when we set out to go have dinner at Joe’s Steakhouse, he was disappointed to be left behind. He recovered and visited with everyone after we returned from dinner – but of course, he had to get to bed at a sensible time and by 9:30 he’d retreated to his bed and we didn’t see his furry little tail again till morning! Saturday I woke up with an absolutely terrible headache…one of the worst things to wake up to on a Saturday morning. I took some Excedrin and tried to rally; hoping coffee and waffles would help and for a while it seemed like the headache might ebb and flow away…but it did not. After lying down for over an hour with one of my many scarves blanketed across my eyes to block out the light, I finally began to see the light at the end of the tunnel. Love this little sister of mine! Sunday I was the definition of a bum – and it was really nice. The cold that I’ve been dealing with for almost a week now really reared it’s head on Saturday night and Sunday morning, so I spent the day lying around, sipping tea, binge-watching White Collar and all in all just being completely lazy. I don’t know if I’d had been so okay with doing absolutely nothing if I had felt 100%, but it was just right for yesterday. Five on Friday – right on schedule – the third of 2017! Shall we begin? One. 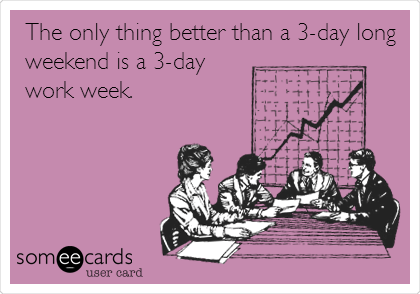 Three Day Work Week – As in; what I’ve had this week! We’ve had family in town to visit and so I decided to make what was already a four day week (MLK Day on Monday) into a three day week and spend time with family. It has been oh so enjoyable knowing I only had three work days this week…however, something tells me it will make next week seem really long! Two. Afternoon Tea – I chose Thursday as my day off (before my family revealed that all the adventure would be happening on Friday…thanks guys…) and my little sister and I took my grandmother to Afternoon Tea at the Coach & Horses Tea Room. Afternoon Tea is hands down one of my little sister’s favorite things and I’m so glad we got to spend that time with my Nanny; she’s the only grandparent I still have living, so any time spent with her is a blessing. Four. Seasonal Illness – As in; the common cold! I’ve been battling that this week and thankfully it’s been nowhere near as taxing as previous incarnations. I invested in some Mucinex and I haven’t had nearly the struggle with headaches, pressure and pain… Now if I could only stop sneezing, things would be grand! Five. I’ll just leave this last little bit of “advice” to do with it what you will! And – that’s all I’ve got for this Friday. All I’ve got and if it wasn’t obvious, I struggled to figure out five things to put down today, ha-ha! January days man…not much happening and not much to report! See y’all next time!